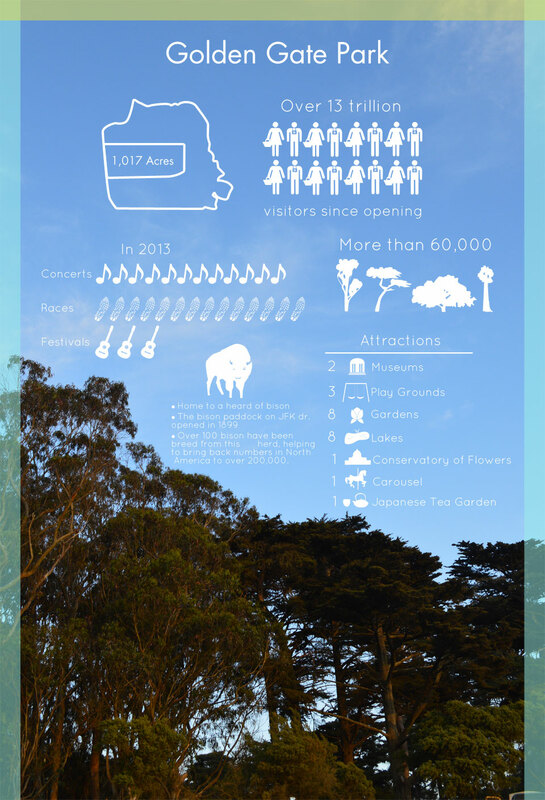 i love golden gate park, it is seriously the coolest park on earth! i'm super luck to live just a few blocks away from this awesome green space and love take walks, runs, and just hanging out on a sunny day there. i started this graphic actually last year after one of the music festivals when i had the thought "i wonder how many concerts and festivals take place here, it seems like a lot?". 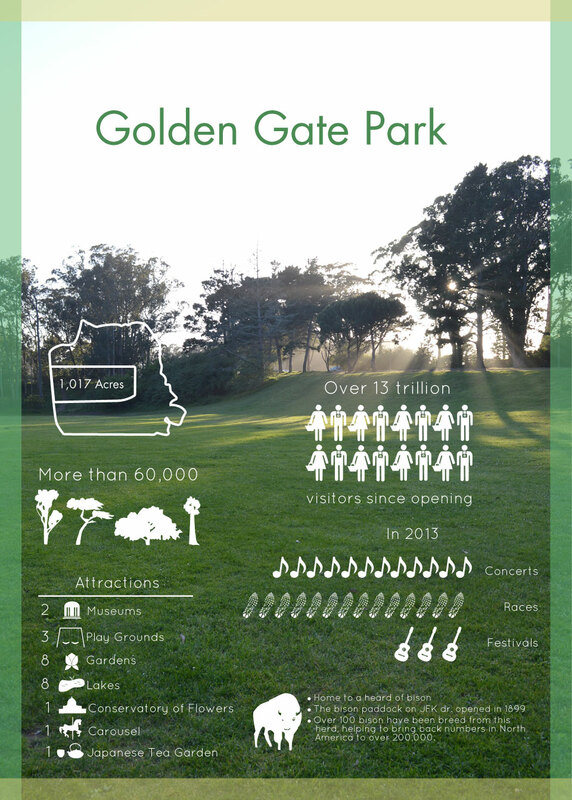 so i started doing a little research, and came up with all kinds of fun facts about the park. thats when i decided it would be fun to put all that info into an easily comprehendible poster.